Ever since Disney bought Lucasfilm, fans have been dreaming of the day when Disney will open a Star Wars theme park. That dream becomes a reality later this year, when Star Wars: Galaxy's Edge opens in June at Disneyland in California and in the Fall at Disney World in Florida. And while many are dreaming of the rides and the in-universe experience that Disney is promising, others are having nightmares about another, unavoidable factor of the theme park experience that will only be heightened by Star Wars: the crowds. Fortunately, the people who run the Disney parks are well aware of this issue and are taking action in advance of the opening. Disneyland vice president Kris Theiler and Disneyland art director Kim Irvine led members of the media on a tour of the park to highlight some of the small changes they are making that they believe will curtail the crowds. "With little room to grow, the goal of Project Stardust is to repurpose and reallocate the precious and finite existing space within the boundaries of the park. Work began on the project two years ago with Disneyland crews focusing on expanding walkways, trimming planters, maximizing attraction queue capacities and corralling strollers throughout the park. The work will continue in earnest until Galaxy’s Edge opens in June." It will be interesting to see how well these small changes help the experience (probably in imperceptible ways). Obviously, they won't be able to get rid of all crowds, and the first few weeks of Galaxy's Edge will be mass chaos on a likely unprecedented scale. If you hope to one of the first people to experience the Star Wars land, then you had better be ready to spend lots of time in line and lots of time moving very slowly through a mass of people to get anywhere. That being said, it will almost certainly be worth it. 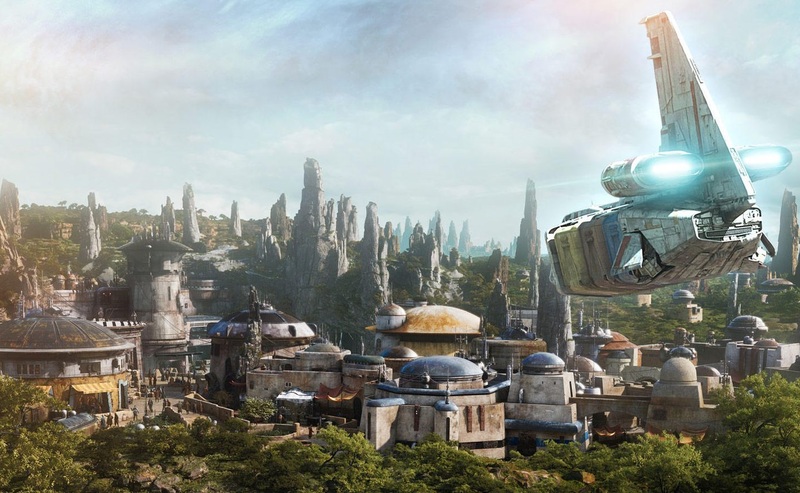 For those who can't wait for Galaxy's Edge to open, Lucasfilm announced several tie-in books for the upcoming theme park expansion so you can learn about the world Baatu and start getting (even more) excited for the park. More details about the tie-in books here.